The Target Saver: Target: Polaroid 32" Flat Panel LED TV - Only $71.24 ! Target: Polaroid 32" Flat Panel LED TV - Only $71.24 ! 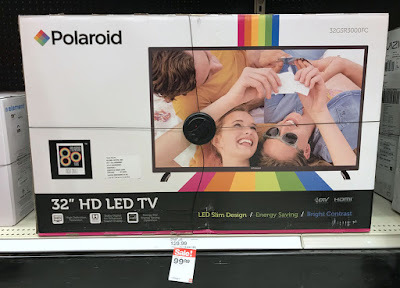 Hurry to Target and score a Polaroid 32" Flat Panel LED TV for only $71.24! Stack the sale price with a Cartwheel offer to maximize your savings. This deal is available online and in stores. Did you know you can now use Cartwheel offers online? To do this, add Cartwheel offer to your account and opt for store pickup when you are adding the item to your cart.